The s300 can be updated in real-time with the engine running without affecting the operation of the vehicle. This means that calibrations and changes can be uploaded to the ECU very quickly (2 seconds for a new calibration, a fraction of a second for anything else), without interrupting the operation of the engine. Changes made in the SManager software are uploaded to the ECU instantly and you can see the effect immediately. The s300 does not use an EEPROM or equivalent, so you never need to open the ECU to change chips nor 'burn' ROMs. No EPROM programmer is necessary - you just need a laptop with USB port or Bluetooth capability. 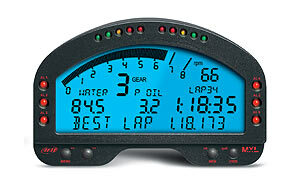 The s300 has datalogging to the SManager software built in via the USB or Bluetooth. Using a laptop or mobile device the various ECU sensors can be data-logged, viewed, graphed and saved for later analysis. Additionally the s300 has on board flash memory which allows a datalog to be made without a laptop, for later access and download. Multiple recordings can be made and stored in the s300 for a total of around 120 minutes of total datalogging time. An external switch can be used to start and stop recordings, or engine conditions can trigger recording. For instance in a drag race, the s300 can be set to start recording once the rpm is bought up to near launch rpm and automatically stop once past the traps and the rpm drops below a certain level. Details on preparing the ECU can be found here. It is strongly recommended that you have this professionally installed. If the ECU has been previously socketed you run a high risk of damaging the ECU (lifting tracks or burning them). PCS output is not present on the JDM ECUs and cannot be used for nitrous controls. All other inputs and outputs are present and can be used for nitrous controls. Boost control uses a different output pin on the JDM ECU.